Luxury figured high on the menu as Europe's biggest annual car show opened to the public Thursday, featuring everything from "hypercars" to flying cars, and more traditional high-end automobiles, encrusted with diamonds. Setting the tone, the new sleek and shiny "Battista" by Italian carmaker Pininfarina is one of the first vehicles one sees when walking into the massive exhibit halls of the Geneva Motor Show. 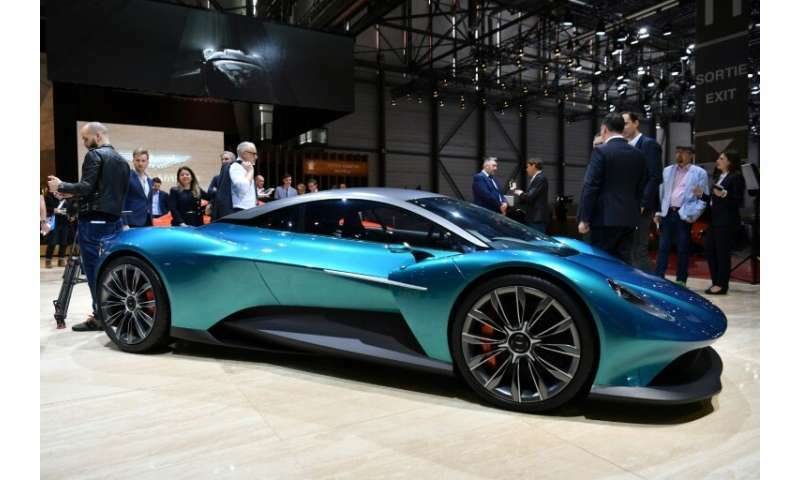 The Battista is the first so-called hypercar—which are ultra-light, ultra-fast aerodynamic cars—that is fully electric, according to a Pininfarina sales rep on the floor. Only 150 Battistas will be made, each with a 1,900 horsepower engine can go from 0 to 100 kilometres (0-62 miles) per hour in less than two seconds. 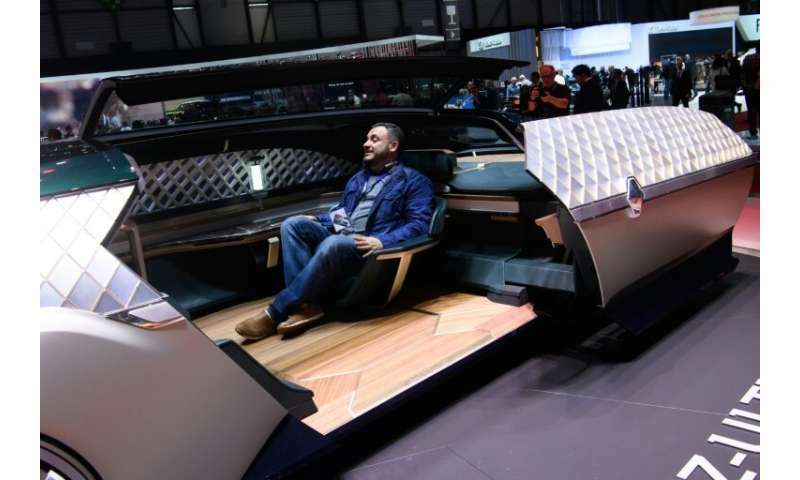 The vehicle, which carries a price tag of around two million euros ($2.2 million), was conceived for enthusiasts who have "money ... and a really great passion for cars," the sales rep said. Nearby, Dutch automaker Pal-V is showing off its hybrid car-plane, which with its retractable wings on the roof looks a bit like a shiny beetle. Carrying a price tag of some 500,000 euros, it can drive at up to 160 kilometres per hour and can fly up to an altitude of 3,500 metres (11,500 feet), or at least that is what Pal-V claims. While advance sales have opened, the object has not yet been registered to fly. The company says the first editions will be delivered next year, but before drivers begin imagining themselves soaring over interminable traffic jams, they will need to imagine passing the test for a pilot's licence. More traditional perhaps, but ultra-luxurious nonetheless are the modified vans by Okcu Automotive: The black Mercedes Class V vans with their tinted windows have been turned into lush lounges. Company chief Savni Okcu told AFP that most customers are businessmen, but there are also "some countries' presidents, some celebrities." In "some cities you know the traffic is amazing, so they are using this type of cars like their mobile office," he explained. The interior is typically covered in wood panelling and with large leather seats, flanked by built-in minibars and high-end televisions. For the very high-end edition, which sells for 250,000 euros, the interior is encrusted with precious gemstones and "24 carat gold complete interior trims," he said, adding that "special leather" can also be ordered, including from pythons, stingrays and crocodiles. "There are no limits in this business." Further along, the booth of Eadon Green is showing off another eye-catching modified model: a neo-retro vehicle that is in fact a rebodied Rolls Royce inspired by the cars of 1930s France. Company founder, Felix Eaton of Britain, said he had become frustrated when he could not find a car to fit his tastes and decided to build one for himself. Using the chassis of a modern Rolls-Royce, it took him five years and around 2.5 million pounds ($3.3 million, 2.9 million euros) to build, he said. "That was a very expensive... lesson," Eaton said, adding that he would gladly build a second model if someone wants to pitch in the three million pounds needed. "But I think it will remain the only one in the world." Eaton said he did not yet have any customers, but that he hoped to convince car enthusiasts to dish out at least 800,000 pounds, and up to 100,000 more to take home a fully personalised version. "You could then add diamonds, anything your imagination has," he said. The desire for the out-of-the-ordinary has also led to some inspired marketing by France's Bugatti, which is celebrating its 110th anniversary at the Geneva show. The branch of Volkswagen, which produces small numbers of highly exclusive sports hypercars, presented its one-of-a-kind Voiture Noire, advertised as the world's most expensive car. It was conceived as an hommage to Bugatti's Type 57 SC, the mythical 1930s sports car. There is no point in asking for a test drive: the only Voiture Noire has already been sold to an anonymous collector for a whopping 16.7 million euros, including tax, the company said. And every one of those vehicles are worthless, as are the morons who are there to see them.